Sexism and misogyny are a topics that are hitting the agricultural industry magazines and social media feeds with increased frequency. Our conversations are louder and reaching more people than ever before. Often women talk about their experiences and offer up advice on how they dealt with or how they acted when confronted by these issues. Sadly, most of this advice is feeding into the very system that demeans women. Patriarchy is strong, it will not easily be changed without hard work. We were raised within its rules, subconsciously applying them to our every thought and action. It is not surprising women feel the need to perpetuate sexism and internalized misogyny, even without knowing it. Afterall, it is our societal norm. In fact, if women are actively and loudly working against the status quo, it is likely they will become a pariah, especially in agriculture. Many of our peers call for us to modify our behavior so we will not be harassed, assaulted or attacked by men. This is victim blaming. Men need to be held accountable for their behavior. Men need to NOT DO THESE THINGS TO US. 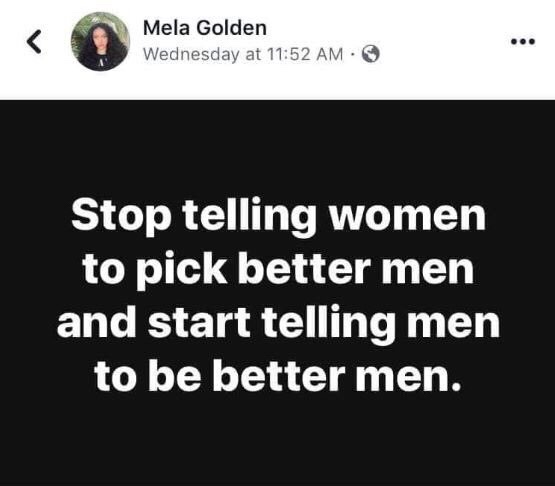 Women do not need to change who we fundamentally are to “make” men act better. 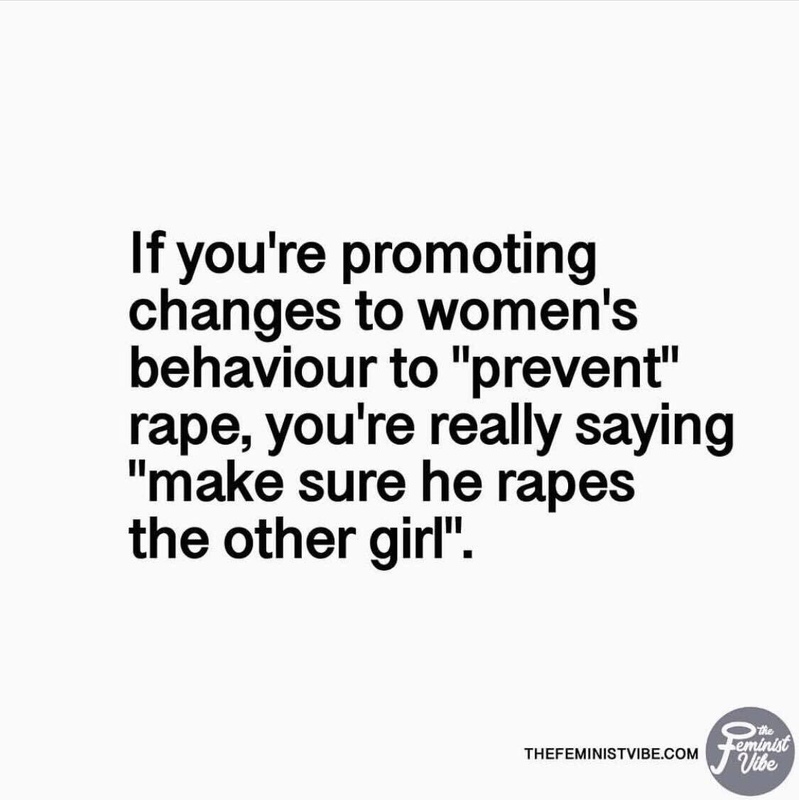 If you are advocating women change their behavior, you are doing nothing to help the underlying cause of mistreatment; men. In fact, what you are saying is ‘make sure that man attacks another woman’, one who is “asking for it” by not acting “appropriately”. 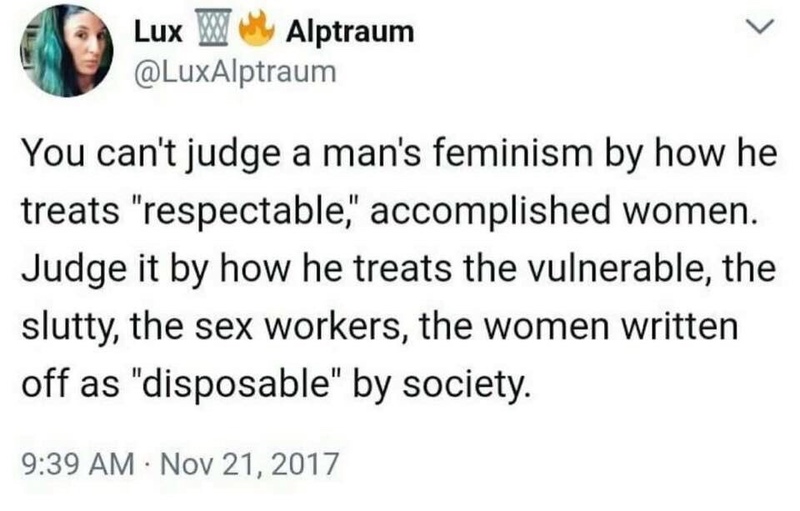 When women say they “show and act with respect at all times”, so men will not harass them, it is yet another way we blame ourselves for how men act and minify other women we feel are not acting within societal norms. “Respect” is used as a token to say “I do nothing that could possibly be construed as threatening, questioning or anything that may challenge the status quo”. This is a safety net for women who feel as if women who do speak out are “asking for or deserve it”. 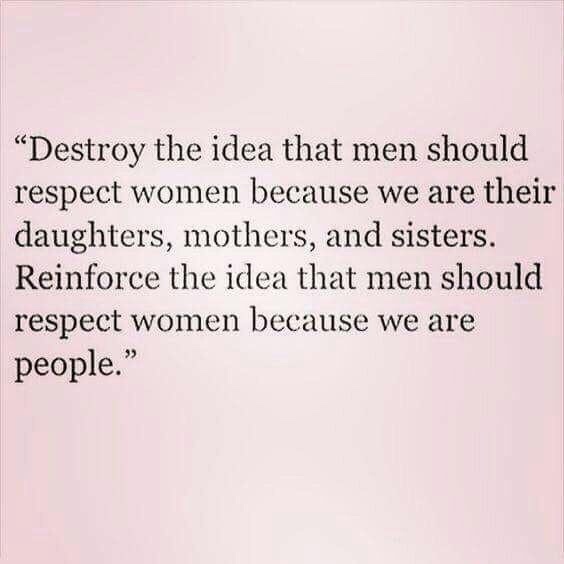 If your version of ‘respect’ requires a woman to disrespect herself by tolerating people diminishing her, it is not respect, it is subserviency. Another common fallacy cloaked as advice is urging other women to “give 110% all the time” or “I work twice as hard so men can’t complain”. This is heartbreaking because it shows women really do have to work twice as hard as men to be considered worthy. Saying ‘I’m always going to be at 100%’, is lie and an unrealistic expectation to live up to which damages mental and physical health. No one is perfect, not even the men we are asking to be equal to. Policing women’s behavior is ingrained into our culture. Little girls are taught to act ladylike with our posture, dress codes dictate what we can wear or how we should look, but “boys will be boys”. When women say they “don’t look for ways to be offended” they are playing right into the policing behavior our culture has taught us. Speaking up, calling men’s (and some women’s) problematic behavior out, setting boundaries, are the only ways sexism will be confronted to make change. 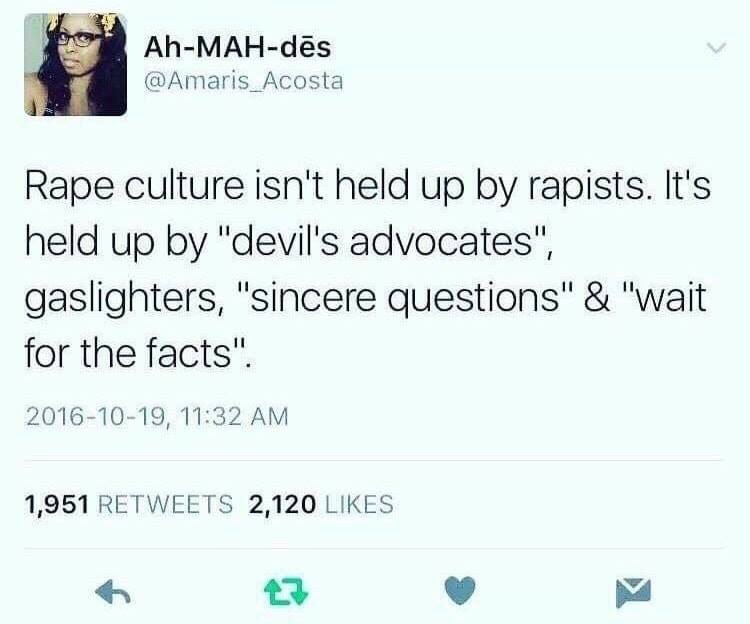 Some women say “they don’t call people out”, they just ignore the problematic behavior. The issue there is if you say nothing about a demeaning, misogynistic or sexualizing comment, often it feels like you agree with the person uttering those comments. A simple “what did you mean by that?” is sometimes all it takes for a person to reflect on an inappropriate comment and it does not feel like a call out. 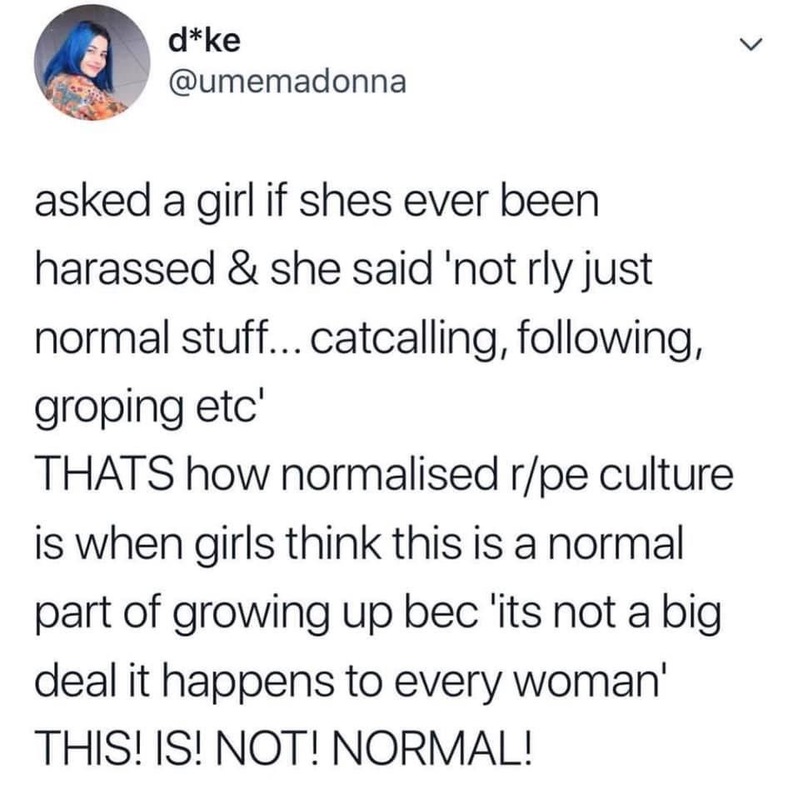 But ignoring the behavior will not make it go away, it continues to normalize it, making men feel okay to continue. It is hard to process women not believing other women in terms of experiencing sexism. When women claim “I’ve never experienced harassment or sexism”, or ”it is overblown” it is a lot to unpack. Especially because this is a topic that is spoken and written about constantly. Whole social movements and laws have started because of the discrimination women face. Most of these women, who claim to ‘never experienced it’ are looking for approval from men. Some women have been taught being “one of the boys” is the greatest achievement they are capable of, but this is because it is our cultural norm, especially in agriculture. 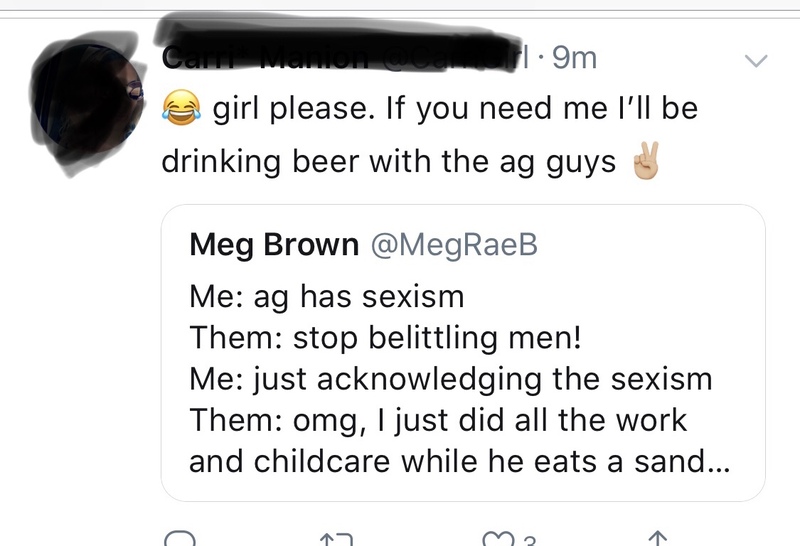 The worst thing this woman thought she could say to me was she’ll be “drinking beer with the ag guys” because I have largely been ostracized for speaking out. If the women, who never experience sexism, were forced to reckon with the truth, that sexism does indeed exist, they would then be forced to see the victims. Victim is a hard label to wear for some, perhaps because victims are not perceived as powerful, as ‘one of the boys’. 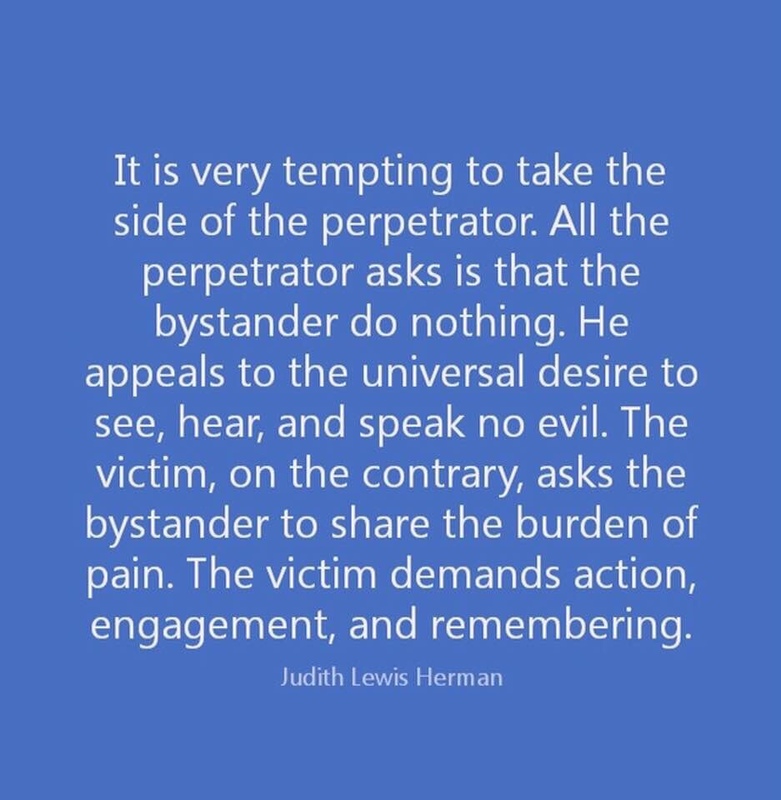 A victim is someone who did not conform, who had it coming. We blame victims in our culture, victimhood is a curse. These women see how women who did speak up have been treated, they watch as the whistleblowers are attacked by the very men they defend as ‘good guys’, they do not want to be the social pariah. However, sometimes we must use these behaviors as a survival mechanism. Sometimes it is not safe for us to challenge the status quo – our comfort zones, our jobs or even our lives depend on keeping the peace. These situations are far more common than we realize. 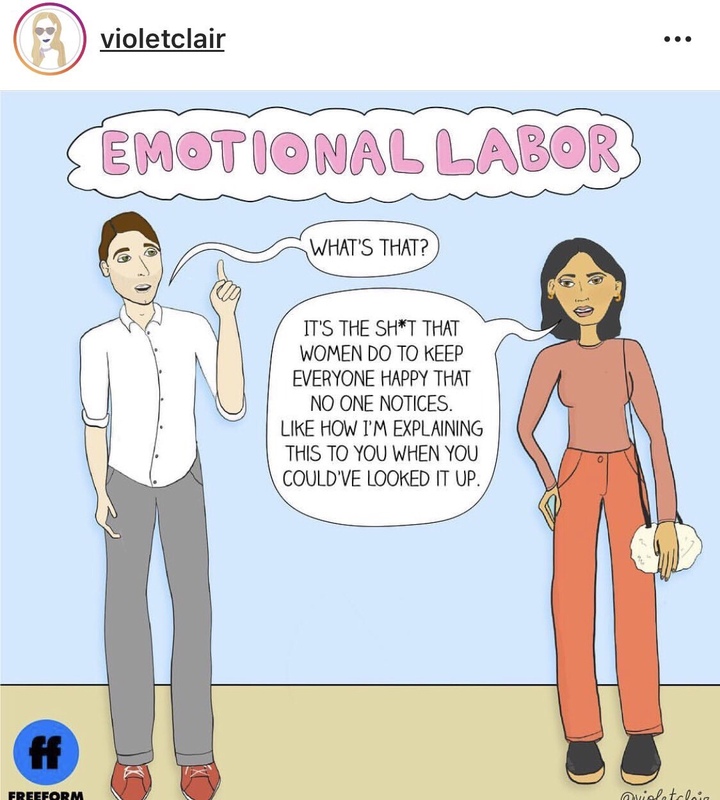 Again, it is heartbreaking the emotional labor often falls to the women trying to survive but not the men performing the behaviors. It is important for those of us who can speak out safely, to do so. It can be very hard to even realize the behaviors mentioned above are part of the problem. As mentioned before, the rules of patriarchy are so normalized and ingrained, we just do not notice we are playing into them until someone points it out to us. Unlearning these rules is going to be a lifelong mindful practice for most of us. It is important to remember if you feel hurt because your behavior was corrected, you are not the victim. We owe it to our industry, to our future, to get better, to ensure a welcoming and safe environment for our agricultural peers. Next time, before you urge women to be more ‘respectful’, or ‘ignore’ the problem, please think twice. Be better.